Make plans to attend the 11th joint conference of these two long-standing environmental organizations: the Kansas Water Environment Association and the Kansas Section of the American Water Works Association. With a greater diversity of technical sessions presenting the latest topics in water and wastewater as well as an expanded exhibition of the newest equipment in the industry, this conference promises to provide you with all that you need to know to stay abreast of the industry. 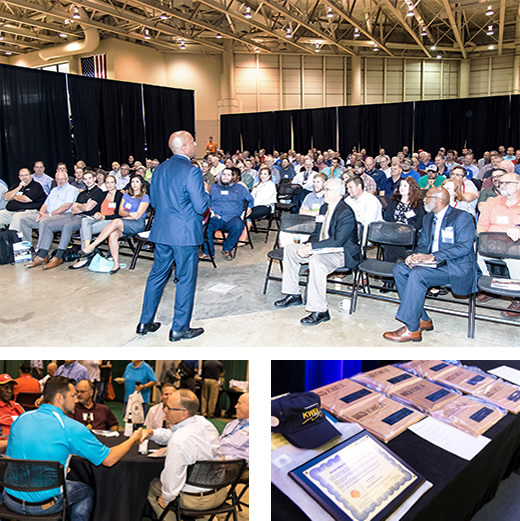 Attendance at the annual KWEA/KsAWWA Joint Conference is a great opportunity to learn about new developments in our industry, new advances in equipment and controls, and recent regulatory updates, as well as a chance to network with peers and share successes and discuss solutions to the many challenges in our industry. Professionals who may benefit the most from this conference include municipal agencies, including operators and managers, consultants, regulators, manufacturers and their representatives, industrial dischargers, contractors, and others seeking to understand the full picture of the latest developments and practical experiences in this field. Continuing education credits can be earned for attendees who require them for professional certification and/or licensure. Additionally, attendance at this and future conferences will go toward satisfying training hours for Water & Wastewater Operator Certification by KDHE (as well as the ABC Certification program) and professional development hours for engineers.